The HVR-Z7U is the world’s first HDV handheld camcorder that uses 1/3-inch bayonet mount interchangeable lenses. 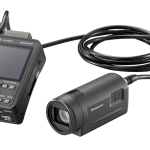 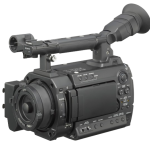 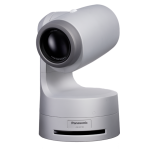 This new HDV camcorder delivers the enhanced functionality professionals have been asking for, such as an interchangeable lens system, native progressive recording, and solid-state memory recording functionality. 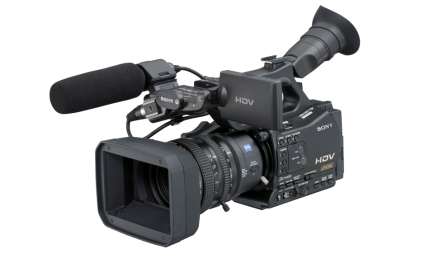 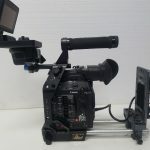 A streamlined nonlinear editing workflow is achieved using the supplied Memory Recording Unit, which provides HDV/DVCAM/DV file recording on a widely available Compact Flash® solid-state memory card., as well as recording onto HDV tape. 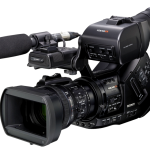 This groundbreaking camcorder also features 1080/24p/30p HDV native progressive recording modes, as well as HDMI output.